Found these photos at the Coveteur.com. They mainly hunt through the closets and houses from people working in the fashion industry. But during London Fashion Week they also took some photos on the runways and backstage. 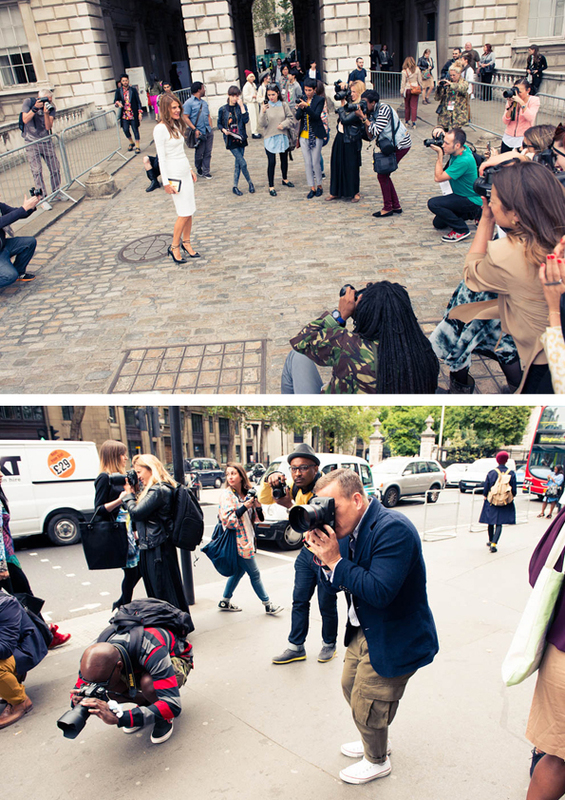 The first two photos show Anna Dello Russo and Scott Schuman on the streets during the shows. 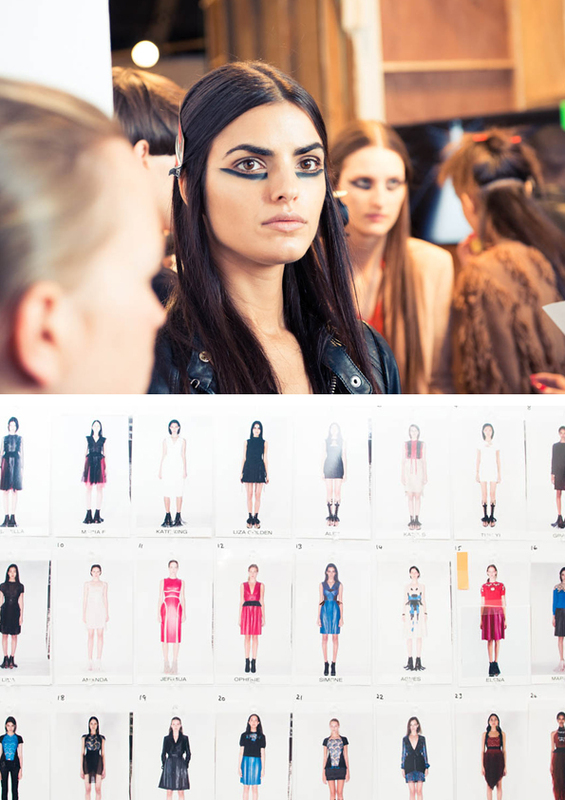 The second two photos are made backstage at the Marios Schwab show. The third pair is taken at the Mary Katrantzou show, love her hectic printed clothes. The last two photos are taken during the Jonathan Saunders show. What an amazing huge round sunglasses, I know what I'll buy coming summer. BTW this is my 200th post! Amazing. Can't believe I missed it! London Fashion Week looks amazing! These pictures are so great. I love the London Fashion Week. Tessa, 25 years old and a lifestyle blogger from Arnhem, The Netherlands. Holding an MSc in Corporate Communication and an MA in Fashion Strategy. I love Scandinavia, am addicted to coffee and just started out as Junior PR consultant at a cool creative office. © Heritage-mode | Since 2012. Powered by Blogger.